Washington DC (670 KBOI News) – The so-called government shutdown is over…for now, anyway. President Trump announced earlier today he’s signing a three-week continuing resolution to fund all operations of the federal government, and give furloughed employees their back pay. But he did not get a promise from Congressional Democrats to fund the border wall…he says they only promised to talk about it over the next three weeks. 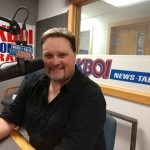 Idaho US Senator Jim Risch told 670 KBOI’s Nate Shelman this situation will more than likely end with the declaration of national emergency the President says he doesn’t want to make. Risch says after a national emergency has been declared, there will no doubt be a court challenge, and how that resolves itself remains to be seen. However, he told Shelman that Trump has had a team of budget specialists, lawyers and Homeland Security officials working on how to properly do the national emergency declaration for weeks now. If the President does declare a national emergency, he could access money already appropriated by Congress to build the wall, like the reported $10 billion in unused dollars for military construction projects.